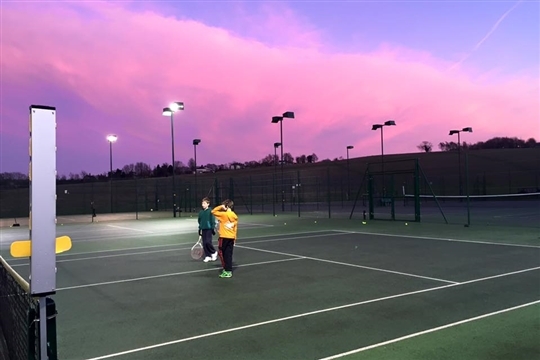 Royston Tennis Club is a friendly club committed to making tennis available to all ages, abilities and social groups in the town and the surrounding area. We aim to maintain competitive, team and tournament level play in singles and doubles, but also to provide a strong "turn up and play" atmosphere throughout the year. The club places great emphasis on junior tennis and promotes the mini tennis system of red, orange and green enabling players to develop their full potential through performance coaching by our CCA performance qualified coaches. The club enters teams into the Cambridgeshire LTA League (adults) & Hertfordshire LTA League (juniors) all year round. New members: sign up Here for FREE British Tennis Membership. This is highly recommended. Membership will give you access exclusive offers, discounts on tickets and clothing, access to the Wimbledon ballot, while also keeping up to date with the latest British tennis news with the LTA monthly newsletter.